NAPE South. Trust me, you need to go. All right. What are you doing August 20 to 22nd? 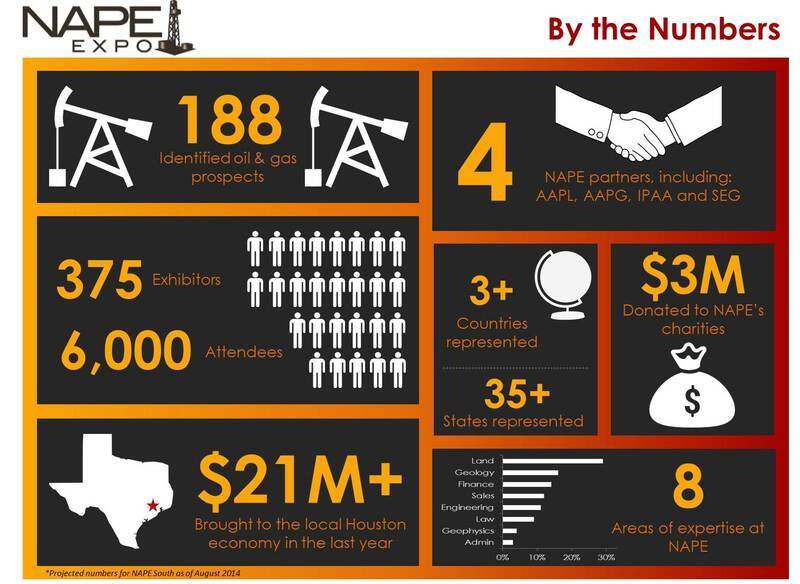 If you know oil and gas business, you damn well better be at NAPE. 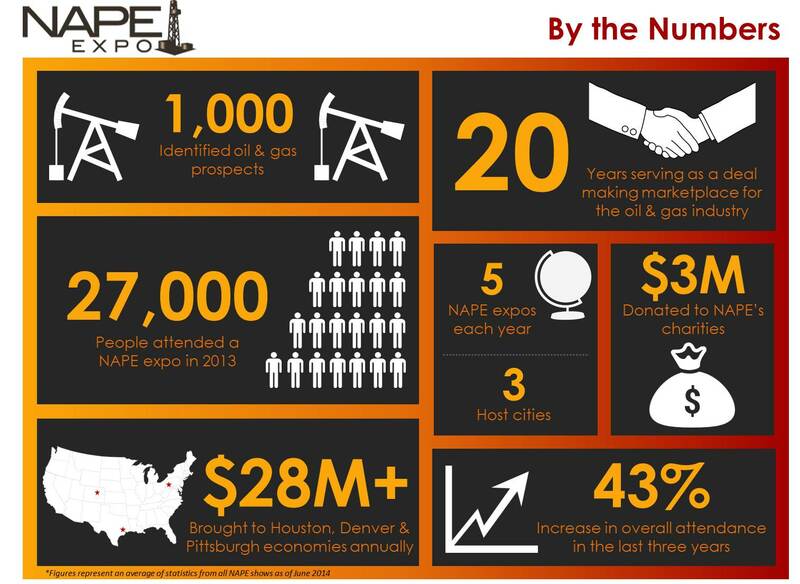 And you go, “Mark, what is NAPE?” NAPE stands for the North American Prospect Expo. It is our number one go-to show for ourselves and for our clients and there’s a reason for that. So NAPE is a show where people have existing oil and gas properties and prospects meet to try to sell or trade these properties, right? They do this is in exhibit booths. So if you think about that, this is a conference where everybody that is attending is expecting either buy something or sell something. How great a place is that for your business, huh? Now, of course you need to understand the show much more intimately on how your product or solution helps somebody fix a problem, but NAPE is just a great place. And I’d like to call it the Lollapalooza of the oil and gas industry probably with more alcohol more money and less rock stars. And the reason I say that is because when it started in 1993, it was all the independent oil and gas guys, the movers and the shakers the grunge bands, right? The punk rock bands of the oil and gas world if you want to think of it that way. And now, of course it’s grown a little bit bigger and you have some of the bigger people out there, but it still has that same mentality. And the nice thing is that in these two days the show goes on, you get to meet with people actually do with business, so you get to understand the oil and gas industry from [cradle to grave] in two days and you can’t go to any other show and see that. Not to mention the fact that this show is built around buying and selling stuff. So they do five of them a year, the one that’s going on in August is called NAPE South. We’ll stick a link on our website, I mean on our blog post to their website, so you can visit yourself. But if you have an interest in selling your product or service in the oil and gas industry, you better be here. We’re going to be there, if you’re going, please hit us up on any social media, Twitter, whatever and we’ll see if we can connect and walk around with you. And then also, I got a favor to ask. We’re trying to grow our membership base, so if you have a second, will you please sign up for our blog so you get post like this delivered to your inbox. Then also sign up for a monthly newsletter. We publish this newsletter once a month and we talk about the oil and gas events that are going on like NAPE, so you will know about it ahead of time. And then finally, if you’re watching this on my website, will you click one of these social media buttons below and share our content, please. We really appreciate it. So, folks I hope this helps and we will see you next time.